1 month ago ago by Genesee Community College. 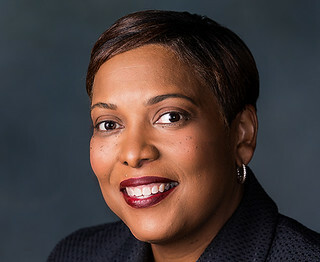 Batavia, New York - The Board of Trustees of Genesee Community College were delighted to learn on Monday night that Dr. Lesli Myers-Small will be keynote speaker at the College’s 51st Commencement Ceremony on Sunday, May 19, 2019 at 1 p.m. held in the Richard C. Call Arena. Dr. Shelitha Williams, GCC’s vice president of Student and Enrollment Services, reported that Dr. Myers-Small is a well-known member of the educational community even beyond her current role as superintendent for the Brockport Central School District. “She is the author of the book “Life’s Leadership Lessons,” has given Tedx Rochester talks, and uses good humor to engage and build a rapport with students. At the start of each school year, she gets on a school bus and rides to school with some of the youngest new students in her district,” Dr. Williams reported to the Trustees. She also was one of the school superintendents to create a fun and motivating video announcing a school closing. With music and a little dancing, “Too Cold, Brockport, Too Cold” encourages students to stay home, read and be safe. Dr. Myers-Small earned a Bachelor’s degree in Psychology and a Master’s degree in Counseling and Human Development from the University of Rochester, a second Master’s degree in Urban Educational Administration and a Doctorate of Education in Executive Leadership from St. John Fisher College. Throughout her career, Dr. Myers-Small has designed and conducted workshops and presentations for students of all ages encouraging each of them to use their creative abilities and talents to succeed. Dr. Myers-Small has also received many prestigious honors that reflect her dedication to education and the community, including the Rochester Business Journal 40 Under 40, St. John Fisher Distinguished Alumni Award and Urban League of Rochester Educator Award. Additionally, she was named a 2016 Athena Award finalist. Additional commencement information can be found at https://www.genesee.edu/events/commencement/.